Steely Dan's Walter Becker (at left, who died in September), and Donald Fagen in Los Angeles in 2001. The suit is over a "buy/sell" contract the members of Steely Dan signed more than 45 years ago, on Halloween 1972. The contract, included as an addendum to the complaint filed by Fagen's lawyer, Skip Miller, on Nov. 21, says that if any of its signees dies or leaves the band, the band's corporation has the right to immediately repurchase their shares at book value. The contract also says that any transfer of those shares to another person is still subject to the agreement. After Becker's death, Fagen is now the only remaining signee of that contract to hold shares in Steely Dan Inc.
Cioffi's lawyers, Fagen claims, sent him a letter asserting "that the buy/sell agreement dated as of October 31, 1972 is of no force or effect." 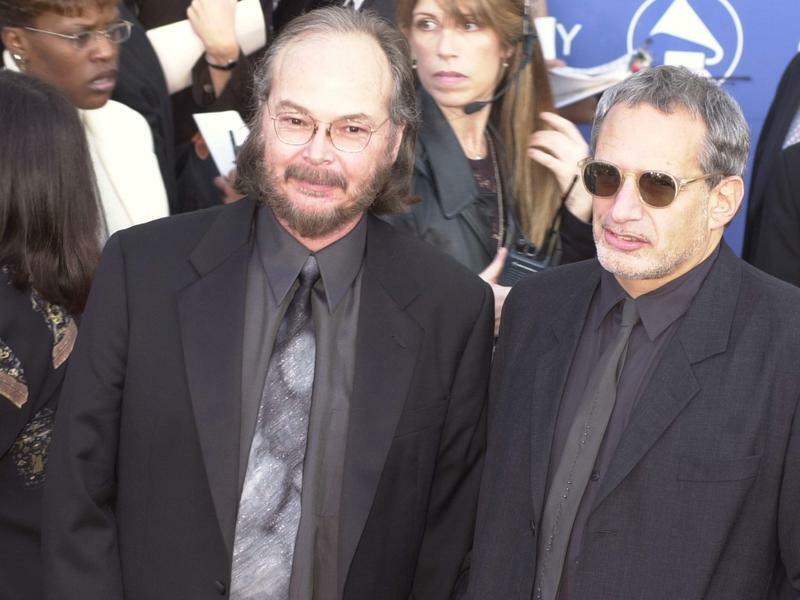 They also claim that the company managing Steely Dan Inc.'s finances and business — Nigro, Karlin, Segal, Feldstein & Bolno, which also oversees the estate of Walter Becker — mismanaged Steely Dan's accounts and did not respond to Fagen's request for documents on the band's finances. Fagen wants $1 million in damages and for the court to rule on whether the buy/sell agreement remains in effect. When reached, NKSFB declined to comment on the lawsuit or any potential conflict of interest in representing both sides of the pending case. In a statement released earlier Monday, the estate of Becker writes again that it believes the 1972 contract "was not in effect" when Becker died: "The misrepresentation that [Becker's] widow, Ms. Cioffi, initiated any litigious action is simply untrue. In our view, Mr. Fagen is unfairly trying to deprive Walter's family of the fruits of their joint labors. "Since Walter's passing, we have endeavored to achieve a compromise with Mr. Fagen," the statement continues, going on to say that Fagen, through Miller, "did not even attempt to contact us prior to filing a lawsuit." In response to that response, Miller writes Monday that "the main point is that the buy/sell agreement at the heart of the suit is as valid as the day it was signed. It's something Mr. Becker felt strongly about keeping in place and honoring, even during his years of illness. Mr. Fagen believes Mr. Becker's estate is entitled to receive all normal royalties on the songs they wrote together. But this case is about the future of the band, and we will vigorously defend the contract." Copyright 2018 NPR. To see more, visit http://www.npr.org/.